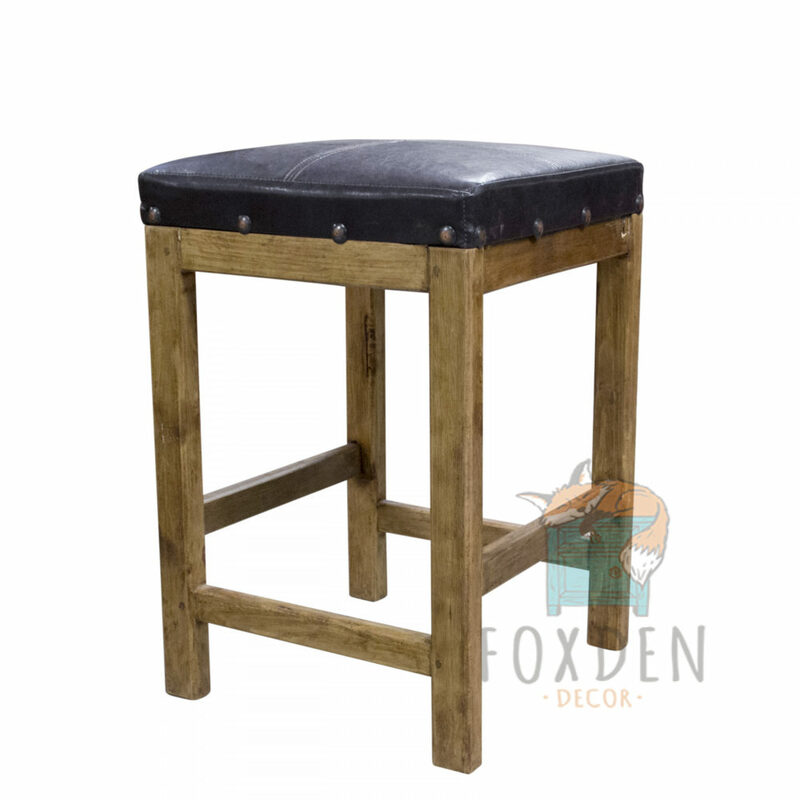 This charming stool is the perfect addition for a rustic style foyer or sitting room. Fashioned with leather, this handcrafted stool is sturdy and reliable sitting on four legs. 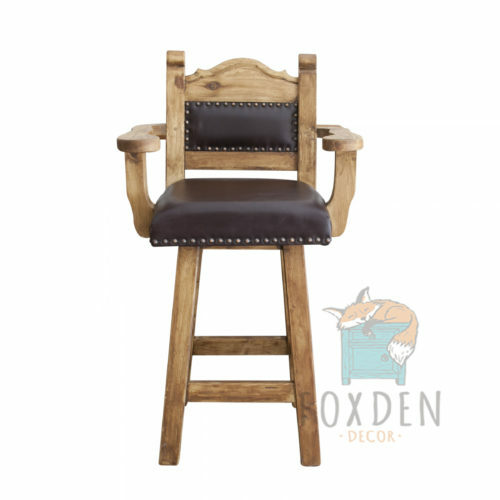 The leather creates a comfortable and modern look to the otherwise distressed and rustic wood that is hand stained and customizable. The leather is held in place by metal brads that give the piece edge and sophistication, adding a touch or industrial and contemporary design to the otherwise simplistic elegance of the seat. This stool is backless and makes for a great resting area, or decoration around a small table indoors or outside in a garden or patio area.